Drinking and Driving offences are serious offences that can leave you with a criminal record, lose of driving privileges and unaffordable insurance premiums. Have you been charged with a drinking and driving offence? While many people are sometimes tempted to defend these charges themselves, the assistance of an experienced Toronto lawyer is often critical to handle these serious offences. Whether you have been charged with “impaired driving” (dwi), driving with a blood alcohol level that exceeds the legal limit (“Over 80”) or with refusing to provide a suitable breath sample, you need to speak with an experienced lawyer immediately to discuss your options. Drinking and Driving offences are serious offences that can leave you with a criminal record, lose of driving privileges and unaffordable insurance premiums. Upon conviction for any one of the above offences, the minimum penalty for a first time offender is $1000. In addition to paying a fine and depending on how the Crown Attorney elects to proceed against you, you could face a maximum sentence of 18 months in jail or 5 years in prison. If you are a repeat offender, you face increased penalties if you are convicted. For example, Section 255 of the Criminal Code provides that upon conviction for a second offence you will receive a jail sentence of at least 30 days. For any subsequent conviction under the Criminal Code for a driving related offence, you face a minimum jail sentence of 120 days. In addition to the penalties under the Criminal Code, a first time offender will lose their driver’s license for one year if they are convicted of any of the above driving offences. In Ontario, Section 41 of the Highway Traffic Act states that your driver’s license will be automatically suspended upon conviction for one year. If you are convicted a second time of either of these driving offences, then you will be subjected to an automatic 3 year suspension. Finally, if you are convicted a third time, you will lose your driver’s license indefinitely. The penalties under the Highway Traffic Act are mandatory. However, the Ignition Interlock Program allows participants who plead guilty and who are first time offenders to reduce their administrative suspensions if they meet certain requirements. The list of what is required and who is eligible can be found on the Ontario Government website. While the Ignition Interlock Program can seem very attractive to a person who is charged with a driving offence, it is important to keep in mind that by pleading guilty you will also end up with a criminal record and face much higher drivers insurance premiums. For example, you will likely have to purchase Facility Association Insurance which is substantially more expensive than regular automobile insurance. The most common driving offences that are charged under the Criminal Code are: Drive While Impaired (DWI); Driver Over 80 (Over 80) and Refuse Breath Sample. Drive While Impaired: Section 253.1(a) of the Criminal Code makes it illegal to operate a motor vehicle while your ability is impaired by alcohol or drug. You can be convicted of impaired driving even if your ability to drive is slightly impaired. Various indicators of impaired driving can include bad driving or slurred speech. Over 80: Section 253.1(b) of the Criminal Code prohibits a driver from operating a motor vehicle if his blood alcohol is above the legal limit of 80 milligrams of alcohol in 100 millilitres of blood. Refuse Sample: Section 254. (5) of the Criminal Code makes it a criminal offence if, without a reasonable excuse, you do not provide a suitable sample of breath into an approved screening device or breathalyser machine. 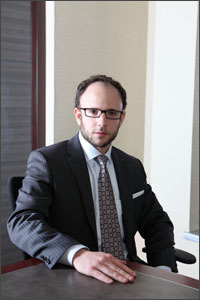 Mr. Luft, a Toronto criminal lawyer, has successfully defended numerous clients who have found themselves in the unfortunate position of being charged with a driving offence. If you want the assistance of a lawyer who will aggressively defend your charges, contact Morrie Luft at 416-433-2402 to set up a free consultation.